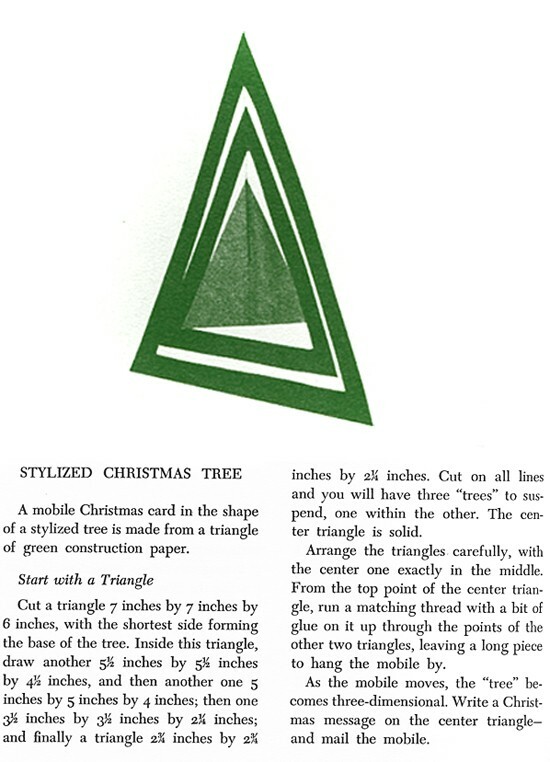 Christmas Magic, a book filled with festive craft projects, is the work of Margaret Perry and was originally published in 1964. 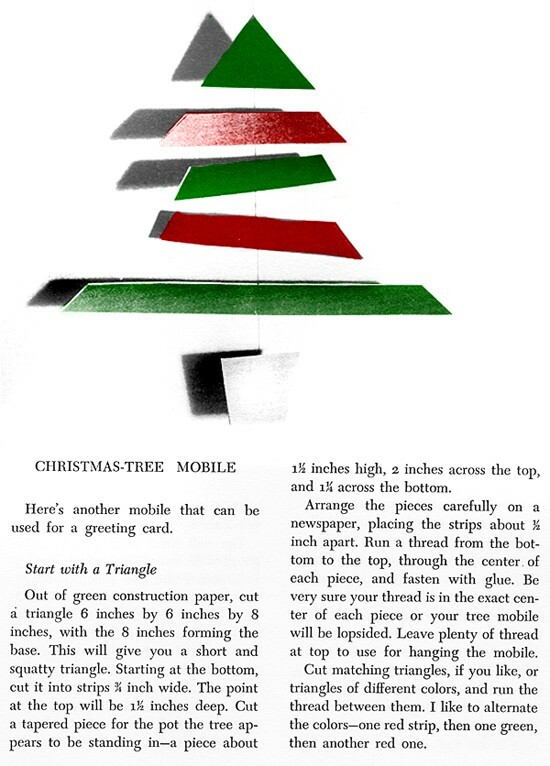 These “mobile Christmas cards” are simple to make and even easier to personalize. We found these images on Google, and they are too good not to share. If you’d like your own copy, head to Amazon! *Tip! While card stock or construction paper would certainly suffice, consider adding even more mid century flair to your creations by covering them with patterned wallpaper samples or wrapping paper. You’re not done yet! Write a simple message and send your tree off as a card. If you’d rather keep your creation, try hanging a few along the fireplace or in a window. Now that is a mod holiday decoration!